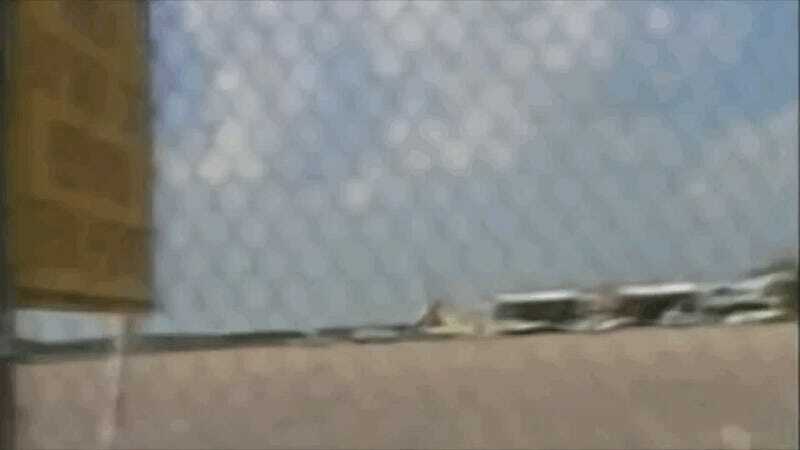 Twenty-five years ago today, one of the most horrific plane crashes ever caught on video occurred in Sioux City, Iowa. United Airlines flight 232 was en route from Denver to Chicago, when the engine in the tail of the DC-10 suffered an un-contained engine failure. Simply put, it's when a piece of the engine such as a fan blade breaks off while it is running, colliding with other engine parts, and debris exits the engine. As you might imagine, when burning hot, sharp, spinning objects go flying around other airplane parts, the result can be catastrophic. In the case of United 232, engine shrapnel severed all three of the plane's hydraulic lines, giving the pilots no way to keep the plane under control. Nine minutes after hearing a boom and observing the loss of hydraulic pressure and fluid levels, the captain and first officer were joined in the cockpit by a United DC-10 check airman, who happened to be on the flight. The check airman crouched over the throttle console and adjusted the thrust on the two remaining functioning engines. The crew were able to make small adjustments by manipulating the thrust of the two remaining functioning engines. They declared emergency and were given vectors to land at Sioux Gateway Airport in Sioux City, Iowa. The pilots were given clearance to land on runway 31, but they were on a path for runway 22, which was only 6,600 feet long and it was also closed. The pilots decided to go for 22, feeling they wouldn't be able to reroute themselves successfully to land on 31. As the plane touched down, the right wing dipped and made contact with the ground before the landing gears. The plane cartwheeled, burst into flames and rolled upside down as it skid to a stop. 185 of the 296 people on board the flight survived. In their accident investigation, it was found the fan disk failure was caused by a fatigue crack that initiated from a metallurgical defect located on the surface of the disk bore. The metallurgical defect formed during the initial manufacture of the titanium alloy material and was not detected by inspections performed during the manufacturing process (manufactured in December 1971 timeframe). The disk was installed in the CF6-6D engine, and the defect caused the initiation of a fatigue crack that eventually grew to a critical size and produced a catastrophic separation of the disk. Total service time and cycles accumulated on the fan disk at the time of the accident were 41,009 hours and 15,503 cycles. The investigation also reviewed the inspection history of the engine, and determined that the fan blade crack was sufficient enough to have been detected, if the inspections had been done properly. The pilots were highly experienced, especially the captain, Alfred C. Haynes, who had 7,000 hours on the DC-10. The check airman who stepped into assist was also highly experienced. The NTSB concluded that the airplane, while flyable, could not have been successfully landed on a runway with the loss of all hydraulic flight controls.The agency lauded the pilots, stating, "The Safety Board believes that under the circumstances the UAL flight crew performance was highly commendable and greatly exceeded reasonable expectations." As a result of United Flight 232, the FAA issued Airworthiness Directives, mandating inspections on the fan blades of the General Electric CF6 engine. Modifications of the hydraulic systems on the DC-10 were also required, to prevent total loss of hydraulic power in the event of a similar incident. The crash also led to the addition of redundant safety systems in all future aircraft, and changed the way engine inspections are performed. After recovering from his injuries, Captain Haynes continued flying United DC-10s until his mandatory retirement age. Several of the flight 232 survivors and first responders from the accident joined him on his final flight.